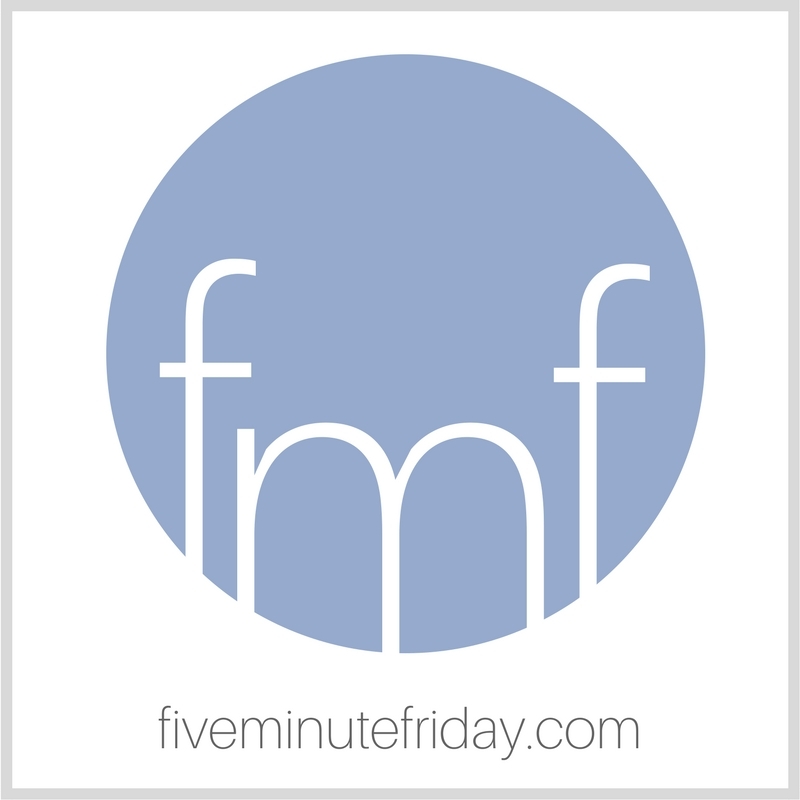 It’s time for another round of the Five Minute Friday link-up! If you’ve never participated before (or you forgot how it works, you can find all the details right over here. This is my first summer working since … oh … maybe college. And yes, college, for me, was a long time ago. I know, I’m terribly spoiled. But I’ve accepted the reality and I’ve done my best to hunker down and get it done. To a fault, perhaps. I find myself viewing the carved out time to play a round of Dutch Blitz after dinner as an inconvenience rather than a relief. This past week, over the 4th of July, we had some friends staying with us from out of town. They came with their six-year-old and eight-year-old, which made five kids and four adults in one house. I ended up taking two half days off so I could spend time with them, and on one afternoon, we went to the beach. I stood at the shoreline, waves crashing over my sand-covered feet, and I soaked in the sun and the kids’ abandon. When four of the kids took a break from swimming to build a sand castle, I saw my youngest alone in the water, and took the gap. I ran into the lake, knees lifting high to minimize the water’s resistance. My son laughed at my scrunched up shoulders and shrill squeals over the chilly water temperature. “Two times? !” I questioned, doubtful. “Yeah! C’mon, let’s do it together.” So hand in hand, we took a deep breath and plunged under the next wave. What comes to mind when you think of the word, PLAY? Share with us in five minutes or less! Link up your own five minutes of writing below, then leave a comment for your link-up neighbor! Oh I love your story! I actually thought about writing about a theatrical play but ended up going with the more traditional idea! The first for the shock, and the second for the reassurance that it won’t kill you. Play! I’m learning to play golf and with a husband who loves the game I have to say it is hard work. I am learning however to just enjoy the moments! I don’t have to hit par or get the ball to the green. Enjoy the sunshine, the fresh air and the company. Let’s play! Kate…(in my mother-voice) just because you are working fulltime this summer? Don’t forget to play with those the Lord gave you!!! As Myquillyn, the Nester, says, “You only get 18 summers.” Remember that, my young friend. They go by in a flash. Live in the moment. PLAY. I love you!!! Love it, Kate! A beautiful picture in words of play! Thank you for the word and the opportunity here. What a beautifully fun picture you gave us Kate! We had 15 for the 4th, including our 6. 4 parents, 3 between 18-21 and the rest 17-7. I’d have it no other way. LOVE having my kids and their friends gather here. I take the plunge of swimming in the Pacific Ocean only when I’m with my granddaughters. That time with them is priceless. Great story. Kids are so good at playing and helping us remember, if we let them. “If we let them.” 🙂 Good point, Cathy! Thanks for being here! So wonderful that you followed his lead. Not only does he “get” play, you get to become a kid again through him. I’ve been reading about nature play and the wonders nature play can do for development for children. Play is essential. Ah, the joys of summer play! I’ve been doing my fair share of it this summer. Just over a week left to play with my grandson–then I get to hang out and play with my FMF friends ;).